Once upon a time, individuals who wanted to invest in the stock market had to pay expensive fees to do so. Even if you had your own ideas about what you wanted to invest in, high priced financial firms were the gatekeepers – kind of like how, in the first seven decades of commercial air travel, the only way to get a flight booked was to go through a travel agent. But in the mid-1990s, when home internet access became common, airlines started selling tickets directly to travelers. Today, thanks to constant internet access and algorithms that can serve up the best prices in seconds, buying direct is the norm. The costs of booking a flight declined. Travel agents still exist, but they add a layer of cost that most travelers aren’t willing to pay. The history of investing follows a similar trajectory. Once upon a time – up through the middle of the 20th Century – investing in the stock market was difficult to do without paying a professional to help. Individuals who wanted to invest had to rely on financial advisors or fund managers for insight into how and when and whether to buy and sell various instruments and, as I mentioned above, for the nitty gritty information about how exactly to invest their funds. The professionals came with a price - a hefty one at that. It wasn’t a great model for ordinary individuals, in part because the fees you had to pay these professionals ate into whatever money you made through your investments. On top of that, it was hard to know which professionals were the best – and therefore worth their fees. Then, in 1960, researchers at the University of Chicago developed a model for an investing instrument that would let investors track the overall performance of the stock market, rather than selectively invest the companies or products chosen by professional advisors. This model was called an “index fund” because it indexed some portion of the market designed to be representative of the market as a whole. It let people invest passively – without paying anyone to make investment decisions. The cost savings of not paying an expensive professional went straight into the investor's pocket. The first actual index fund didn’t launch until 1971. Even though its launch wasn’t that successful, it changed the face of investing. 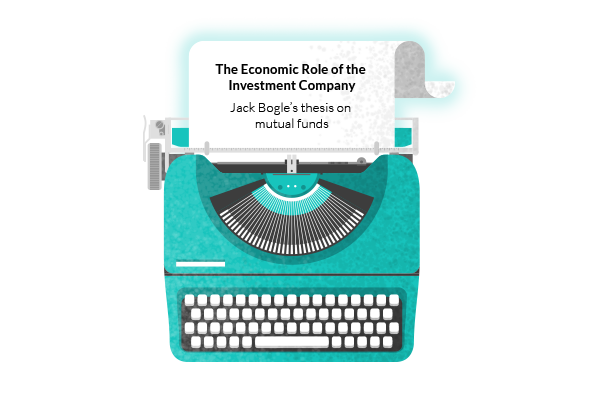 Quick detour: Between 1949 and 1951, a college student named John (“Jack”) Bogle wrote his undergrad thesis on mutual funds, a financial instrument that was brand-new at the time. His conclusion: these funds could be really powerful for individual investors, but only if the firms managing them seriously cut management fees. In 1974, Bogle founded Vanguard Group following many of the principles he highlighted in his college thesis, creating passive investment vehicles for ordinary people to gain access to the stock market. Vanguard made the first index mutual funds available directly to individual investors. At the time, people laughed. Fidelity’s then-chairman asked why any investor would be content with just average returns (which is essentially what a passive index fund promises). The goal of investing, said this chairman, was to be the best. Not shockingly, that thinking required paying Fidelity large sums of money for their insights. It didn’t offer an option for actively managed funds. Other mutual fund companies did, and they charged investors higher fees to invest in these funds. Vanguard’s passive funds were much less expensive for investors. It distributed all Vanguard profits among shareholders. The standard model at the time saw profits distributed among the company and its managers. This model meant less money for Vanguard and its executives. But Bogle believed that there was no need to have a huge stinking pile of money – enough, he claimed, was as good as a feast. He wrote an entire book on this principle. And maybe the Fidelity chairman was right that professional investors’ goal was to be the best, but Bogle’s point was that most ordinary Americans weren’t invested in the stock market at all – which meant they weren’t enjoying any returns to speak of. Bogle’s ideas were revolutionary, and his belief in index funds has proven prophetic. Index mutual funds and ETFs became widespread. 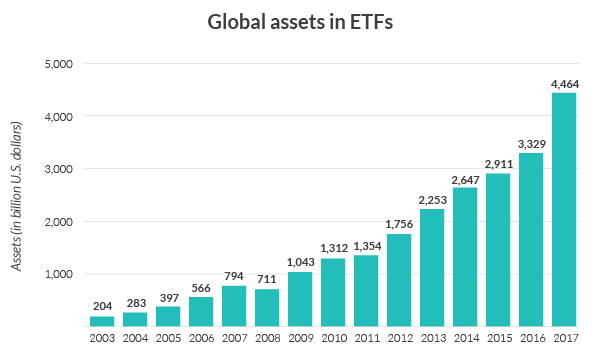 Individual investors have embraced this model, and the amount of money in ETFs globally rose from $204.3 billion in 2003 to $4.4 trillion in 2017. That upward slope happened in part thanks to emerging technology that made it possible for ordinary folks to tap into the investment power of the stock market without paying expensive management fees. But that’s not the end of the story – or at least, that’s not all of it. The rise of passive investing was undoubtedly beneficial for everyday people hoping to invest. The average investor can pay almost no management fee to own a stake in nearly any asset class. An investor can now get that asset classes returns for extremely low costs. But for today’s investors, the trade-off between low-cost passive and high-cost active strategies no longer exists. You can now create a custom portfolio or "personalized index" and buy it for free using platforms like M1. This lets you curate your investments to your specific goals, values, risk tolerance, and objectives. We believe that this hybrid approach gives the best of both worlds: a portfolio that can utilize passive ETFs to get low cost exposure to a specific asset class with the ability to take a higher conviction pick on any stock or group of stocks you want. All of this can be done while minimizing explicit costs like management fees and commissions and implicit fees like trading costs and taxes. Internet-first platforms (Thinkorswim, OptionsXpress) that combined online access to investment tools with educational materials to help individuals improve their understanding and performance. They made it possible to read up on a an investment strategy, research a company, and decide to buy stock without leaving your desk. App-based models that empower everyday people to manage their funds on the go. Lower and lower participation costs (including M1’s free investing model), which make investing more accessible to more people. 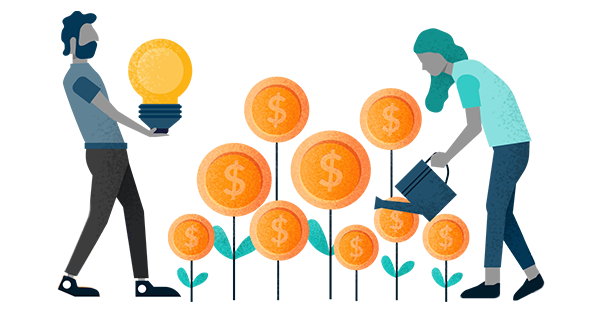 Today, 78 percent of investors pay between zero and one percent in management fees for their investments. Incumbents are cranky about it. 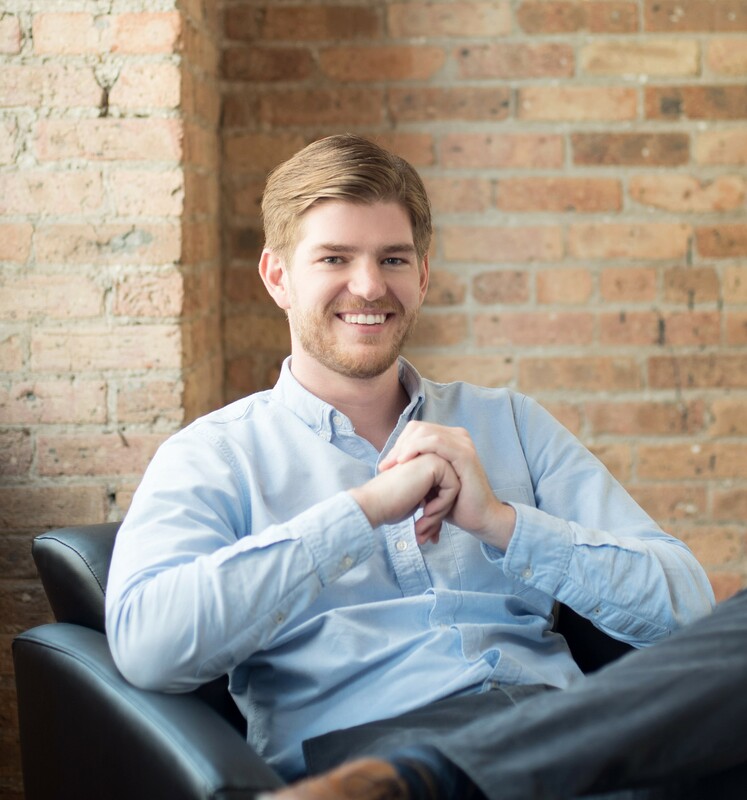 These and other innovations have greatly expanded access to investing, which was once something only available at a high price – something that Jack Bogle was determined to change. 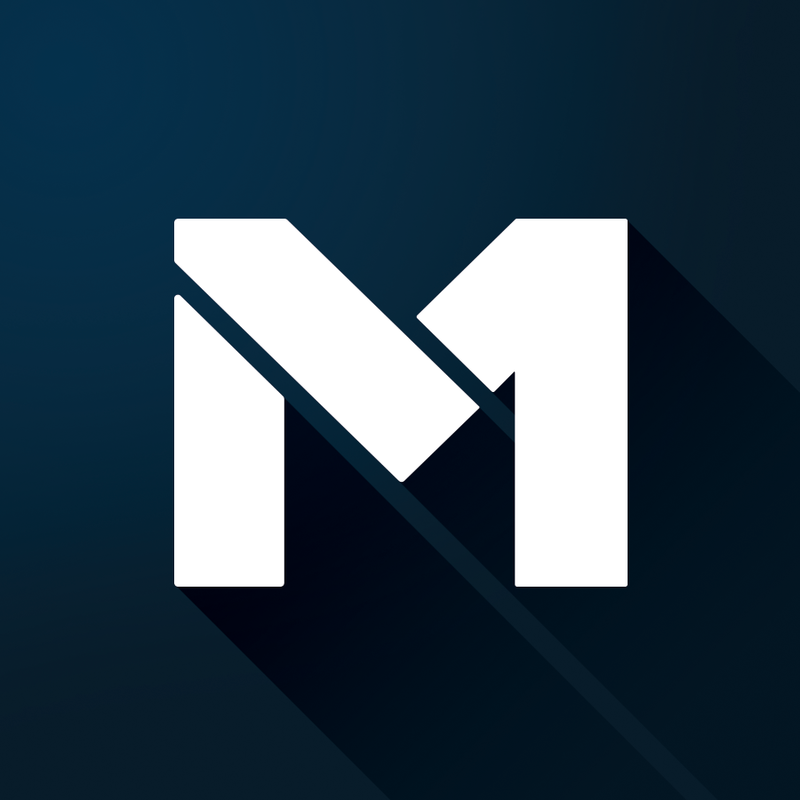 M1 is proud to be part of a tradition of making investing simple, transparent, accessible, and affordable so that everyone has a chance to engage with and learn about the market – and improve their lives in the process. We owe a great debt to the road that Jack Bogle paved. And we’re thrilled that today’s technology means we can continue down that road further than he ever envisioned.